Market leaders in high-quality turbines, handpieces and small equipment, NSK are dedicated to delivering high-performance products for the whole dental team. In pursuit of this, NSK have recently acquired Dental X, one of the leading and best-known manufacturers of vacuum sterilisation equipment. 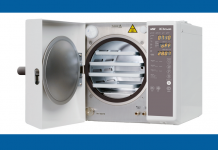 Dental X has been active in the dental and medical sector for over 30 years, specialising in the design, production and distribution of vacuum sterilisation equipment, offering a full range of vacuum autoclaves capable of guaranteeing total sterilisation safety and effectiveness. Delivering state-of-the-art performances and with over 50,000 units sold, the most popular sterilisation unit Dental X product is the Domina Plus B – now relaunched as the NSK iClave. Made from the most advanced materials and components, the NSK iClave sterilisation system combines a compact, elegant design with hospital-standard performance. Equipped with a powerful vacuum pump that enables total air expulsion, the NSK iClave reliably sterilises all types of instruments and equipment, including the internal surfaces of handpieces. Moreover, the pump generates a ‘forced’ ventilation to deliver perfectly dry instruments at the end of the sterilisation process. 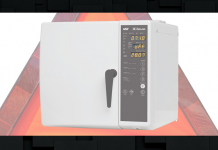 Reliability is a key requirement for dental practice sterilisation units and the NSK iClave is one of the most tested and reliable available. The iClave’s vacuum pump has been tested to 20,000 cycles without failure and its copper chamber has been tested to 100,000 cycles without failure. All Dental X products now available from NSK conform with the European Norm EN13060 as well as the European Directive EC93/42 for medical devices and have CE 0120 certification. Thanks to the superior specifications of the chamber, the loading capacity of the iClave is 20% higher than competing autoclaves. 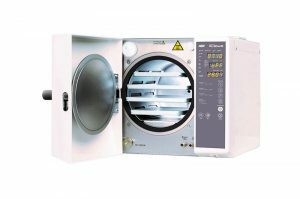 This is coupled with an exceptionally powerful pump for air expulsion before sterilisation and ventilation with a bacteriological filter after sterilisation, which combines with the special heating system to provide perfect drying. In less than 20 minutes, the iClave quickly and securely sterilises both wrapped and non-wrapped instruments, as the three temperature sensors control the steam and eliminate the risk of early deterioration. 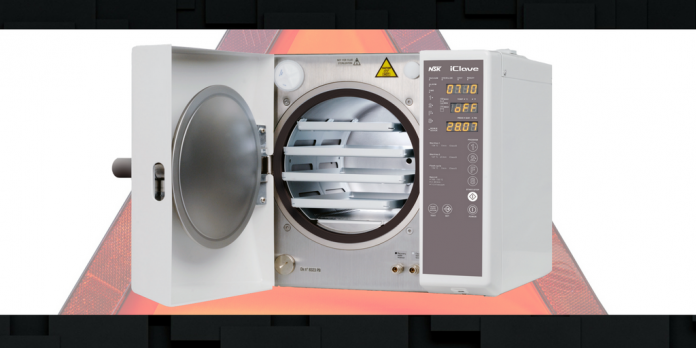 The iClave’s large chamber volume means you can sterilise more of your instruments (+20%) and the optional integrated USB log allows all sterilisation cycles to be saved and documented. Thanks to the exclusive heating system, it is possible to sterilise all instruments (including handpieces and turbines) without any risk of breakage or early wear. 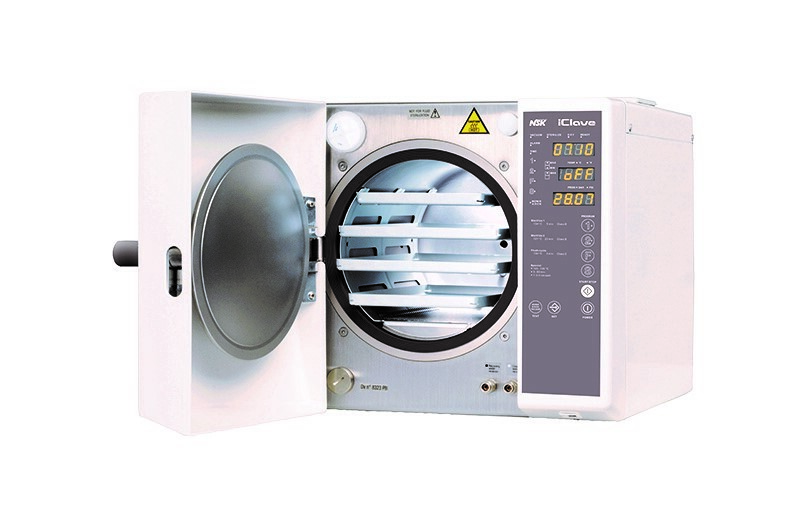 The iClave incorporates a copper chamber and differentiated heating, making cycles faster without the need for a steam generator, and so increasing the iClave’s reliability. Easy-to-use, time-saving and efficient, NSK’s iClave assists in prolonging the life of valuable rotary instruments and can be used with NSK and all other major brands, including KaVo®, W&H®, Bien Air® and Sirona®. NSK use the most advanced technologies and quality components in all of their handpieces and sterilisation products. 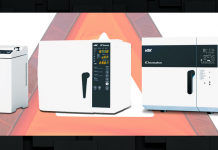 Due to the more gentle thermal characteristics, an additional warranty of six months is provided on NSK instruments for all iClave autoclave users.